God bless Michael Gross. The actor, originally one of a bit ensemble playing second fiddle to Kevin Bacon and Fred Ward in the original Tremors, has gone on to make the cult-fave B-movie series about underground killer worms called Graboids his own starring vehicle, with the character of Burt Gummer shooting up the scenery as the survivalist ideal. Are the movies any good? Well—they're fun. 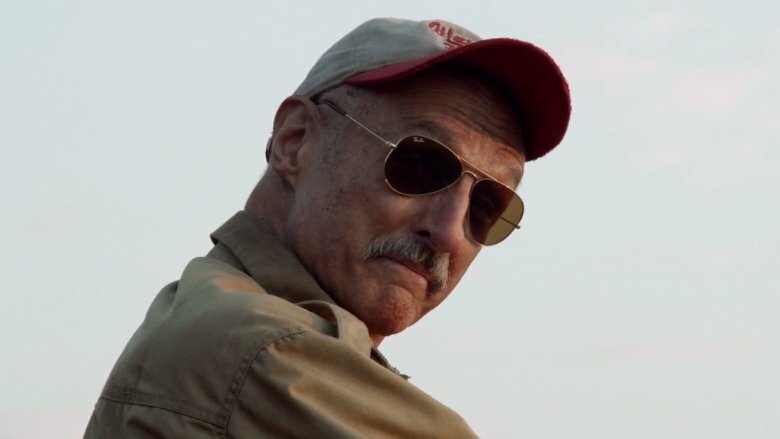 Michael Gross does a really good job, and he seems like a nice guy. So yeah—they're fine. Anyway, now the low-budget mayhem will officially continue for at least one more movie, with the official title for the sixth entry in the series being Tremors: A Cold Day in Hell. The movie is set to be a fairly direct follow-up to 2015's Tremors 5: Bloodlines, with Jamie Kennedy set to reunite with Gross as his son Travis Welker. Together, the duo travel to Canada as the world's de facto Graboid experts, where they discover that the worms are being weaponized at a secret research facility. When Burt gets infected with Graboid venom, he only has 48 hours to live—so the race is on to synthesize an antidote, and maybe get rid of the worms for good. The movie will also feature Tanya van Graan, Rob van Vuuren, and Greg Kriek, with a script by Tremors 3 and 5 writer John Whelpley. Hopefully the title is paving the way for the franchise to pull a Friday the 13th and actually go to Hell, finally filling out the Graboids' backstory as being the living tentacles of an octopoid Satan. Hey, if "Graboid venom" can be a thing now, why not that? In addition to the new movie, a Tremors television series with Kevin Bacon is also still in development for Syfy, but Gross will apparently not have any involvement with that. Tremors: A Cold Day in Hell is set for release in May 2018.